In 2017, I made Fancy Fries a lot. 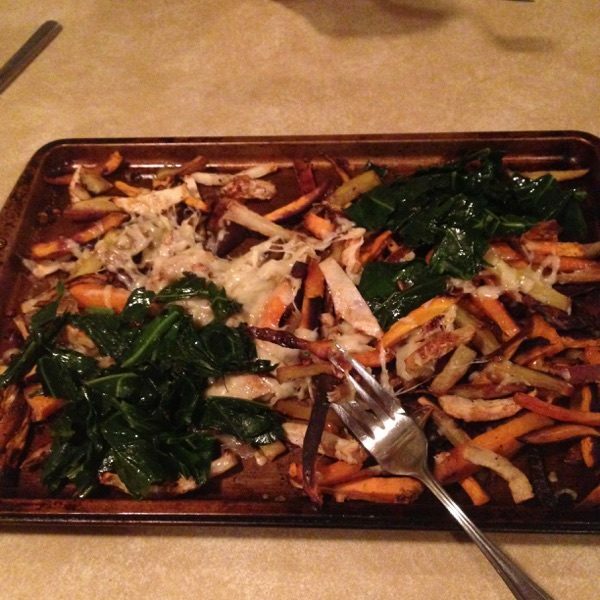 It’s such a simple way to enjoy Tinicum CSA root crops. Also, it’s like eating pizza, because you get to cover the roots with shredded cheese. Note: Feel free to alter the number of each veggie according to your preferences. 1. 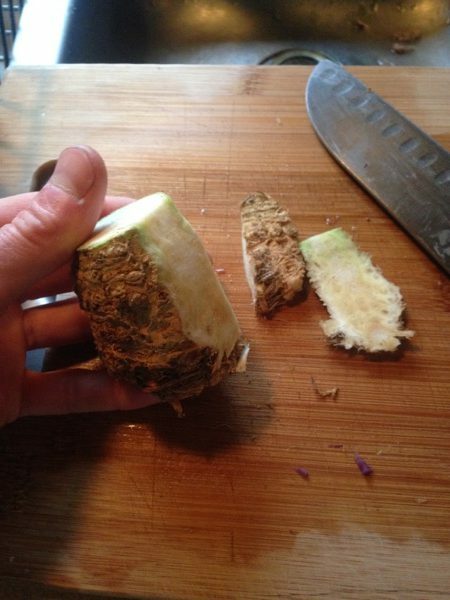 The only veggies that need peeling are the celeriac & rutabaga. 2. 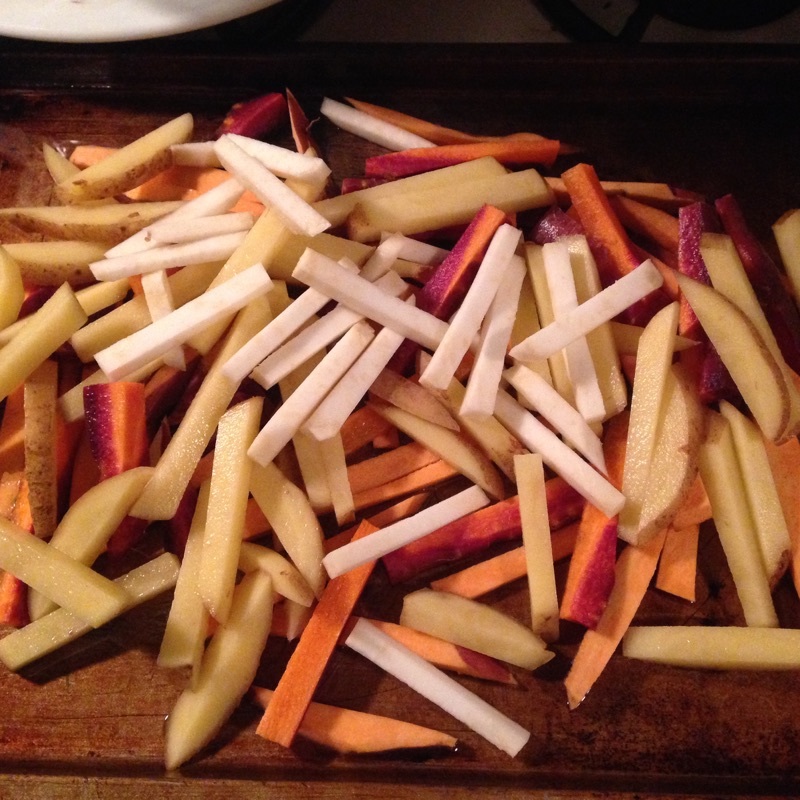 Slice all of the roots into french fry slices, and scatter over an oiled baking sheet. 3. Scatter chopped onion and minced garlic over the roots. 4. Sprinkle salt, pepper, nutritional yeast, cayenne pepper & turmeric over all. The nutritional yeast can be whatever amount you want, it gives the dish a more cheesy texture. 5. Bake at 350 degrees for about an hour. The goal is to make the fries a little crispy. While baking, stir them around a few times. 6. Remove from oven and sprinkle shredded cheese over all. Turn off oven and return the pan to the oven for 2 minutes. This will allow the cheese to melt. 7. Serve with sautéed collards.